Talmudist, halachist, and torah commentator. Popularly known by the titles of his works, Meshech Chochma and Or Same'ach. Talmudist, halachist, and torah commentator. 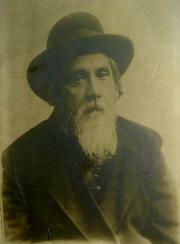 Rabbi Meir Simcha HaCohen was one of the most unique Torah giants of the 20th century. He is renowned for two works: Ohr Samayach, a brilliant commentary on the Rambam's Mishne Torah and Meshech Chochmah, a profound commentary on the Torah. Rabbi Yehudah Copperman, editor of the latter work, describes it as a unique blend of "Halacha, thought and commentary". In it R' Meir Simcha demonstrates the unity between the written and oral laws and presents strikingly original interpretations of both Biblical verses and Talmudic passages. His unusual mastery of the entire philosophic and kabbalistic literature is reflected throughout. In a famous near prophetic passage written before 1926, he presents a brilliant theory of Jewish history in exile and refers to those who forget their origins and think "Berlin is Jerusalem", and are doomed to destruction (B'chukotai). He wrote that it is not surprising that a Jew willingly gives his life to sanctify God's name because it is natural that when one is confronted with an opposite force, his essence comes to the fore (Va'etchanan). His mastery of the Jerusalem Talmud was such that when in 1906 Shlomo Friedlander alleged to have discovered the missing Talmud on Kodashim he was able to immediately determine that it was a forgery. R' Meir Simcha served as Rabbi of Dvinsk for nearly 40 years and was deeply loved by his congregants. He frequently helped couples to become reconciled. A couple once visited him to discuss their problem and after a lengthy period there was a noise of singing and dancing. R' Meir Simcha's secretary peered in to see the strange sight of the Rav dancing with the couple to help them in their reconciliation. During World War I when many Jews fled from Dvinsk he said that if there were only nine Jews left he would be the tenth, and that each bomb has a specific address. He was respected by all segments of the population and was once described by Chaim Nachman Bialik as "a walking encyclopedia". In 1906 he was offered the position of rabbi of Jerusalem but bowed to the entreaties of his congregants to remain in Dvinsk. In relation to this proposal 20 prominent leaders of Dvinsk wrote to Jerusalem as follows: "We of the Russian Golah in the city of Dvinsk rise up in response to the report that the sons of Jerusalem wish to take away our master, our teacher ... not only will they destroy us but the entire Golah for whom he is the teacher and the respondent for all who seek the word of God". R' Meir Simcha was a strong supporter of the settlement of Eretz Yisrael and greeted the Balfour Declaration with enthusiasm. He also believed that in order for a Rav to be a true leader of his community, he needed to be fluent in the language of the land. Besides the above mentioned works, he also wrote novellea on the Talmud and a volume of responsa which were recently found and printed. May the merit of the tzaddik Rabbi Meir Simcha HaCohen of Dvinsk protect us all, Amen. 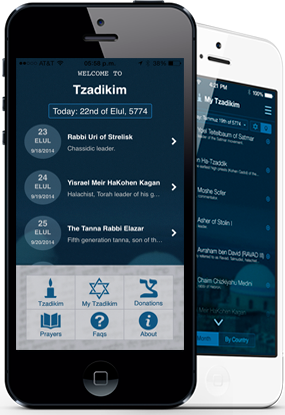 "Spreading The Light and Protection of The Zohar to All People"